There’s no disagreement here: building new kitchen renovations is a great way to increase the value of your home. An old, outdated kitchen is one of the most common reasons why otherwise excited buyers decide to pass up a house instead of following through with an offer to buy. Why is the kitchen so highly prized of a space? The answer is simple: the kitchen is the source of activity in most families. After all, a good kitchen is often where families eat informal meals, as well as where all the food is stored and cooked. For entertainers, kitchen parties have now become common, with guests coming into the kitchen directly instead of congregating in other areas of the house. 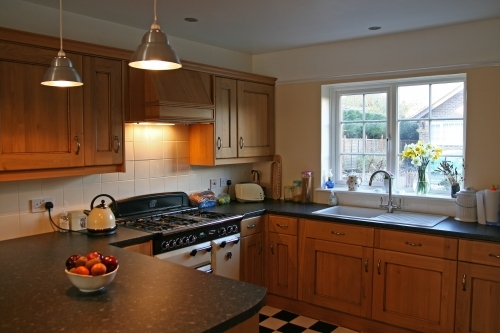 So to attract interested buyers to your home, building and maintaining a smart, modern kitchen is a must. However, there are a few questions that commonly arise when homeowners begin thinking about how to actually achieve a smart kitchen renovation. First, write out exactly what you want to update, along with the price of the materials. You should also be deciding at this point whether to do the renovations yourself, or to hire a professional. If the budget for the project is small, doing it all yourself is definitely an option. However, that road is a bit more intense than hiring a licensed professional to do the work for you. A compromise is to hire on a licensed professional more as a guide than someone that will be providing heavy labor. You can do most of the work yourself, and then save the harder things for a professional that can do them faster and often more safely than you can. The next step is the budget — every plan to upgrade the kitchen must come with a firm budget. If the plan you have on paper calls for things that will be expensive, you have to prioritize what you actually want to do. Sometimes that will mean leaving out things that will look really nice, but will be more expensive than what your budget can handle. Review your finances and make sure that you can handle a kitchen upgrade — many people turn to their savings at this point. If savings are not an option, a renovation loan is something that many banks have began offering to their customers due to the popularity of renovation projects, especially kitchen-oriented renovations. Finally, make sure you give yourself enough time for all of the aspects of the renovation project to be finished. A renovation project will take up a few weeks, even a few months of time — some consider this the other side of the budget due to its importance. Part of scheduling the time for the renovation will also be in waiting for materials to be shipped or purchased. Many kitchen renovation projects have been delayed unexpectedly by not having all the materials. It goes without saying that a new kitchen renovation requires a lot of time and effort. However, if a few key tips are followed, it will go a long way in avoiding a lot of wasted time and effort as well as stress. After all, you deserve a home that you can be proud of on the outside as well as the inside! This entry was posted in Kitchen Furniture and tagged Kitchen Renovations. Bookmark the permalink. ← Good Furniture Can Make All The Difference in a New Home!